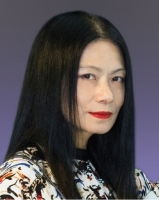 Miss Tam, Founder and Owner of VIVIENNE TAM Fashion House, is an international designer renowned for her culturebridging, East-meets-West approach to design and for pioneering global collaborations merging fashion with technology. She is the author of the award winning book China Chic and her works are housed in the permanent archives of the world’s most prestigious museums including the Metropolitan Museum of Art in New York and the Victoria and Albert Museum in London. Miss Tam is now Adjunct Professor of the Institute of Textiles and Clothing of PolyU.